My goal in writing The Millennials’ Money was to transform that opening statement from something that will be, for most people, an intuitively impossible view of reality, into something that is not only easy to “see,” but logically irrefutable. Here is a video that provides an overview of the reality of modern fiat money, and an introduction to the remarkable opportunities explored in the book. As illustrated in the video, modern fiat money is not a new economic theory―it is a poorly visualized reality that has been operationally in place now for nearly half a century. The fact that this has not been widely recognized―that our political leaders and economic pundits continue to behave as if U.S. dollars were a finite resource (like gold) which the federal government has to compete to have a share of―is due, I believe, to our simple inability to “see” what fiat money actually is. 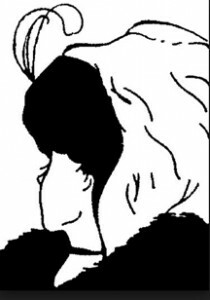 The moment you “see” the alternative reality is a startling, and subtly satisfying, experience. The world has opened up somehow―lifted a veil and revealed a new set of possibilities. This is precisely what I hope will happen for people when they read The Millennials’ Money. 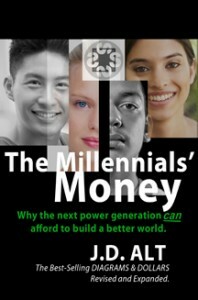 The book, really, is an exercise in “seeing.” And the people who most need to see and understand what fiat money makes possible are today’s millennials—the generation just now coming into political power. The millennials are the generation who will have to confront and resolve the enormous challenges now unfolding in modern society. The second half of the book explores how modern fiat money can transform these challenges into enormous opportunities. Four specific “opportunities of a millennium” are explored in the last half of the book: education, retirement, employment and global climate change. In each case what is explored is how understanding modern fiat money can change the parameters of the debate about what we can undertake and accomplish as a collective society. Why is an architect writing this book rather than an economist? Two reasons: First, as already noted, modern fiat money isn’t a new economic theory but, instead, is a reality which I discovered could be visualized with a series of simple “architectural” diagrams. Second, at its core modern fiat money is about building things—real, concrete, structures and systems and services—that our collective society can greatly benefit from. As an architect who spends much of his time imagining and visualizing how we might build a better world, I feel a renewed sense of energy and purpose knowing, now, that we can actually afford to do it! This license allows anybody to use, remix, tweak, translate and build upon the information in the slide-show, as long as they give credit, and as long as they license their new creations under the same Creative Commons terms. I encourage anyone who is interested to download the slide-show and use it, however they choose, to begin reaching out to and informing their own community. Modern fiat money, once it becomes a “visible reality” for more and more people, can’t help but become a force for positive change in our political discourse and collective future.